MEADE COUNTY, KY (WAVE) - The National Weather Service has confirmed that an EF-1 tornado touched down inside the Breckenridge-Meade County line on Sunday, a mile north of Irvington. The NWS reports that the tornado's winds were between 100-105 mph. It was on the ground for two minutes and traveled 1.8 miles. The tornado pushed a large tobacco barn 15 feet eastward. The barn roof was torn off and several walls collapsed. Debris was found up to half a mile away. Moving east-northeast, the tornado skipped along a wooded area. Several trees were snapped or uprooted. The tornado then hit a mobile home on Fackler Road which rolled several times, destroying the home. The owner sustained only minor injuries. A garage on the same property was also destroyed. Buildings were damaged on another farm at the northwest side of Sandy Hill Road before the storm crossed KY highway 261 at Guston Road. 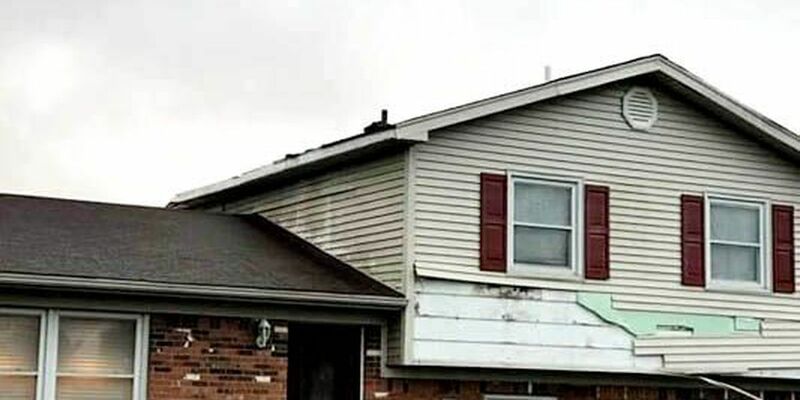 The roof of a split level home on Guston Road was partially torn off. A person who lived in the house was walking down the stairs when the roof was ripped off, and was briefly drawn up the stairs by the pressure as the tornado moved by. A few more trees were snapped and uprooted as debris from the split level house was dropped across the road. The tornado flattened a fence and peeled a section of metal off a building before lifting.